Come try us out and see what we have to offer! Do you need a really good deep tissue? Are you often disappointed by Day Spas and Massage Chains? We’ve got you covered! Since we do more specific therapies and we understand how our musculoskeletal system functions this is The Best Deep Tissue / Sports Massage in town! This is our most popular treatment. If you need deep muscle therapy in specific areas this is what you want! If you want more than a half body session, check out our Full Body Sports Massage. This is “NOT A MASSAGE.” Are you considering or already treating joint/muscle pain with NSAIDs, Corticosteroid Injections or Surgery? 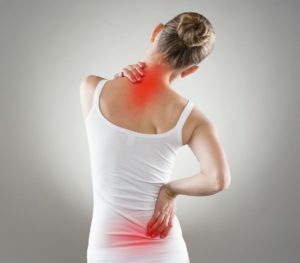 These sessions are intended for rehabilitation of an injury or area of chronic pain. You can expect decreased pain & increased mobility. By releasing the muscle tissue we can take pressure off of the nerve bundles that cause sharp pain & numbness. When we lengthen the muscle tissue we can decreases tension at the tendonis connections and once the muscles and the tendons relax, issues like bursitis and tendinitis subside. If you are already treating your issue with chiropractic or physical therapy this service is complimentary and can speed up your progress. We consistently see more recoveries than failures. *How quickly you see pain relief and how far you will recover can depend on multiple factors; Your pain tolerance, sleep, diet, level of activity, recovery practices, water intake, electrolytes, structural damage, ect. Always consult your physician before treating through alternative practices. Some cases may require a release from your doctor.